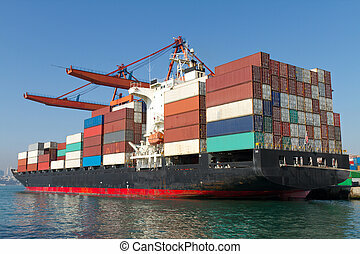 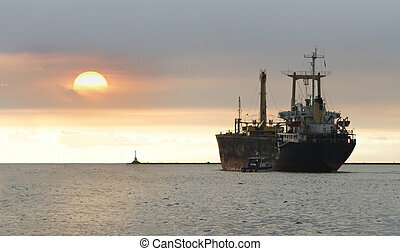 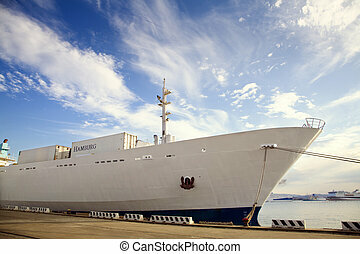 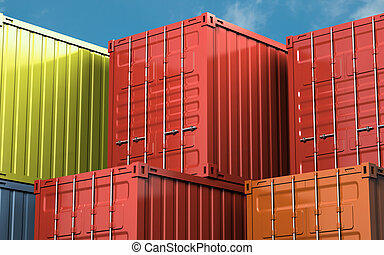 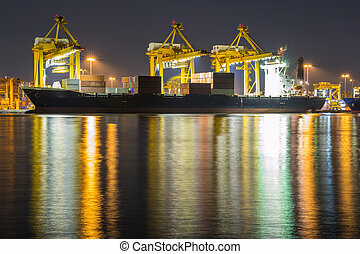 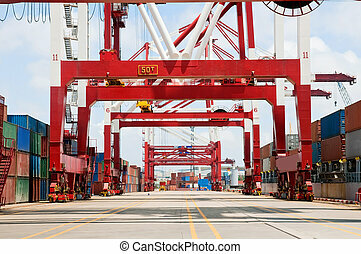 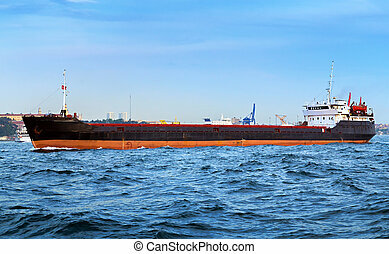 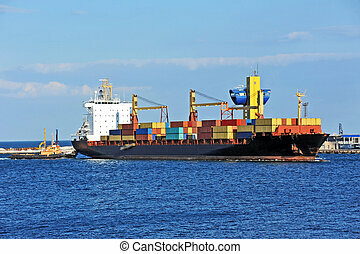 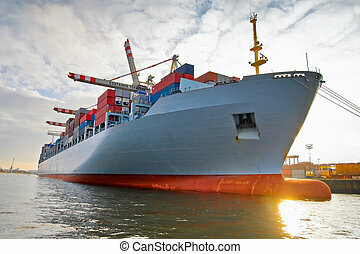 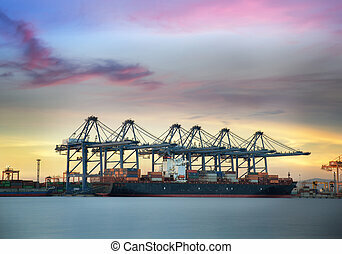 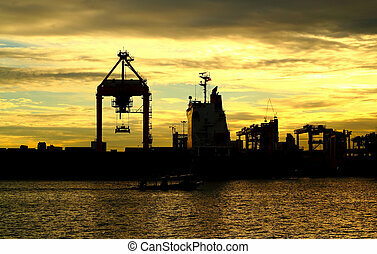 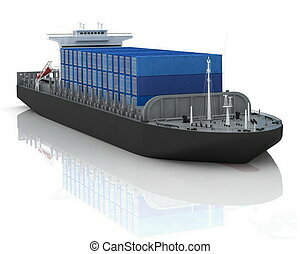 Cargo container ship in sunset. 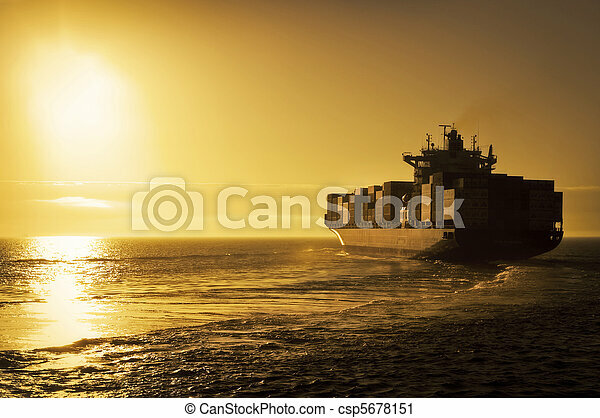 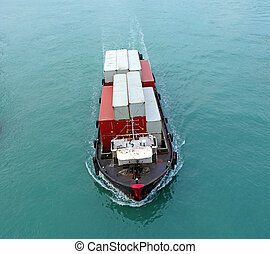 Cargo container ship sailing off into the sunset. 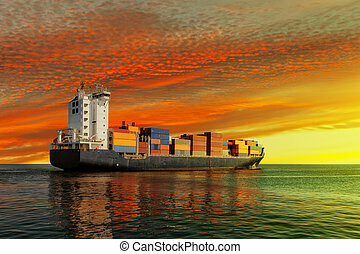 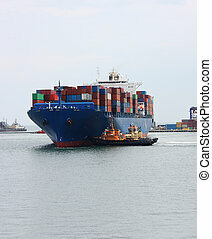 Container ship at sunset in the sea.